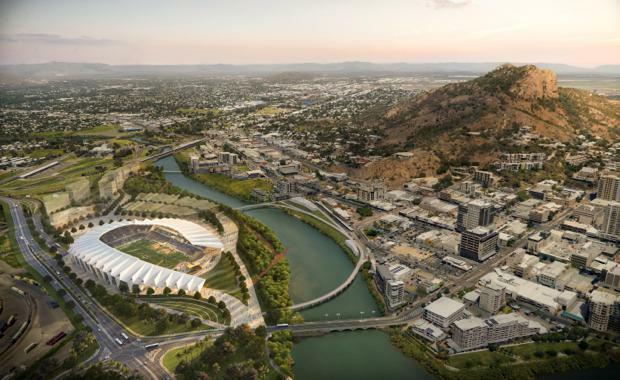 Cox Architecture has won an invited design competition for the new North Queensland Stadium project in Townsville. Project Director Richard Coulson said the team is excited to have been selected to deliver the project for the North Queensland region. "The stadium design is an expression of tropical Queensland and North Queensland in particular," he said. "It combines structural, functional and operational aspects of international modern stadiums with engagement of the environment that is quintessentially Queensland. "The stadium provides an identity for the region and an important contribution to the city. "Through the development of a ‘fan first’ approach to the design of the stadium and its use to create a sense of place and belonging, we have forged a unique architectural and engineering response that can only be ‘of this place’," he said. Options for future further development on the site.